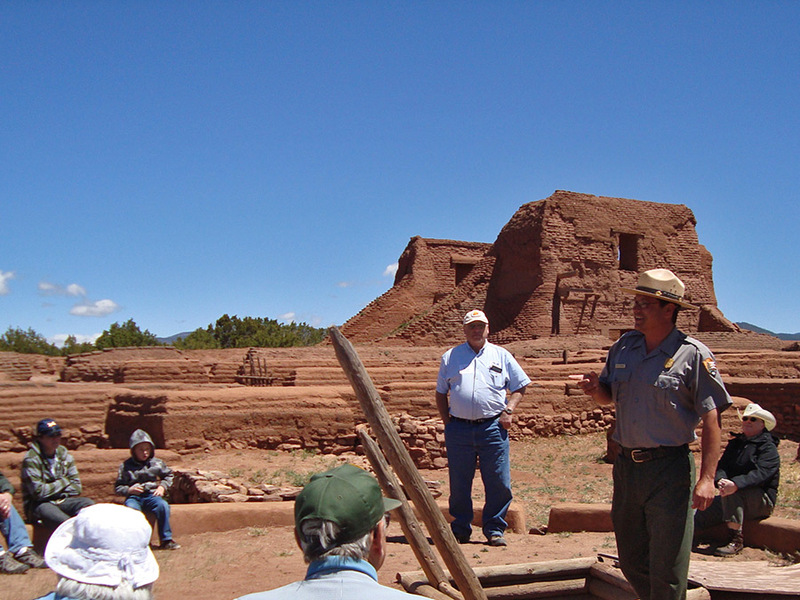 Pecos National Historical Park (originally a national monument) consists of three discrete units alongside I-25 in the mountains of northern New Mexico, 30 miles from Santa Fe. Two are closed to the general public; the one open site contains a variety of structures including a stage station, ranch, ancient pueblo and Spanish mission, the last of which is the most spectacular, formed of red brick and adobe. The preserve also has a museum and several trails, so the relative lack of visitors is perhaps surprising, given the proximity to the interstate.